The hours and days seem to spin by much too quickly for most people. This fast-paced world of communication being reduced to electronic gadgets and expectations of response in seconds or minutes, rather than hours or days. With so much "communication" going on each day, isn't it amazing how disconnected people are? Quality relationships, with actual time spent one-on-one, are becoming a thing of the past. What about noticing? That seems to be a lost art also. We consume so much information and see so many visual graphics that it seems we're not even seeing anything. Clicking through emails and websites, not remembering where we've been only hours later. We know we saw "something" but have no idea where we saw it. And all of that is generally related to electronics. What about families that live in the same house? If one of your children was missing would you remember what they were wearing? Do we even remember what we're wearing without looking down? That's something to ponder. And what about the natural world around us? God gave us nature to teach us about who He is and as a resting place. Psalm 46:10 tells us to "be still and know that I am God." Stillness is one of the qualities of nature. We can't help but relax and release stress when we enter a forest or garden, or sit by a flowing river or ocean. 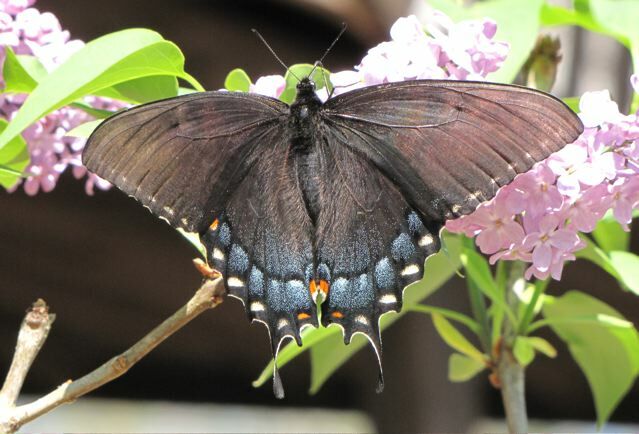 When's the last time you took time to stop and notice a butterfly fluttering about in all it's brilliance of color? How long has it been since you've taken time to notice the diligence of an ant crossing a sidewalk or parking lot? Do you see the arched branch hanging over a path? Have you noticed what flowers are blooming and learned their names? Tuning into the Creation that God made helps us to learn character qualities too ... or lack of them. I've noticed that various bird species have different personalities. Have you noticed how early Carolina Wrens go to bed? They sit on a post or open branch early in the sunset and sing unto the Lord, while they bounce about, flipping their tail as if they were dancing and praising before Him. They do this in the morning also with a loud voice. 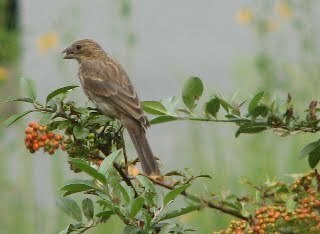 A neighbor who had no interest in birds asked me one day, "What is the small brown bird that has a very loud voice early in the morning?" 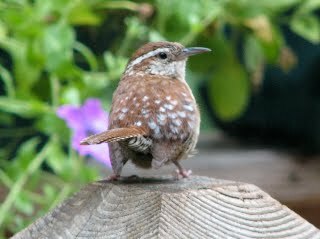 I knew instantly it was a wren. Many people can't imagine such a volume from such a small bird. The Eastern Cardinals have no interest in bunking down early. They're the last ones at the feeders in the evening when you can barely see them, but at that hour they are continually calling to their mates so each knows where the other is before bedtime. Wrens spend their days foraging for food, hopping about with that sassy tail, seemingly without a care in the world. Then you catch a glimpse of a House Finch that spends more time fighting for its right at the feeder, than it gets to spend eating. Makes me think that the wrens are more in tune with Father God that says He will feed them, than the finches who have the "If it's to be, it's up to me" or "it's all about me" philosophy. Male wrens have 27-41 different songs and often sing when delivering food to its young. How wonderful it would be if all fathers would sing lullabies to their children while they're young. Males help to build the nest and not only care for the nestlings, but also for the fledglings (when they leave the nest). Not only is he a good papa, but Carolina Wrens appear to be monogamous, so they're faithful and generally life-long partners also. So, in watching nature and discussing it with our children we can pass on a lot of wisdom about our life choices. Seems the House Finches add a lot of stress to their lives by demanding rights and not wanting to share. It's interesting to note that the finch population has been sharply reduced by avian mycoplasmal conjunctivitis. This relates to the immune system and we know that stress weakens the immune system. We can learn a lot from our electronic gadgets ... but I love the classrooms of the natural world when it comes to helping me make life choices. So, I limit my time on the computer, choose not to use a cell phone, and schedule a lot of outdoor time. It's not only a good classroom ... it's energizing and gives me more energy and strength for my required tasks of the day. I begin my day outside and for me, it makes all the difference in the world.